The Top 20 Wine Influencers (according to Klout). 1) Everyone is this list has “wine” as one of their top influences with the exception of Gary Vaynerchuk. 3) “Food” and “Social Media” are tied for second place in number of influences (10 people have it as one of their top 3 influences). 4) The top 10 influencers are either from the UK (4) or the USA (6): Jancis Robinson (UK), Gary Vaynerchuk (USA), Wine Spectator (USA), Jamie Goode (UK), Tim Atkin (UK), Snooth (USA), Decanter magazine (UK), Alder Yarrow (USA), and Luiz Alberto (USA). 5) However, from 11th to 20th, there are 7 different countries: Emmanuel Delmas (France), Meg Maker (USA), Wine Harlots (USA), Dusan Jelic (Serbia), Nicolas de Rouyn (France), Ed Thralls Jr (USA), Nicolette Waterford (South Africa), Chris Nishiwaki (USA), Andre Ribeirinho (Portugal), Paul Mabray (USA), Ilkka Sirén (Finland), Ryan Opaz (Spain), and Lisa Mattson (USA). PS1: There’s a tie for the 20th spot with 4 influencers having the same score. PS2: “Countries” is where the influencer resides (not where he/she was born). Our new t-shirt is for sale in the US now… check it out! International #GrenacheDay 21st September 2012: Learn 10 important facts about Grenache for the event! 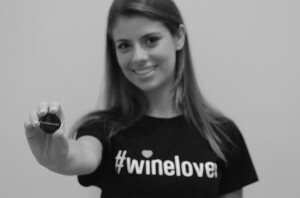 3 Responses to The Top 20 Wine Influencers (according to Klout). If I have my way, I will vote for Lisa Perrotti-Brown MW.